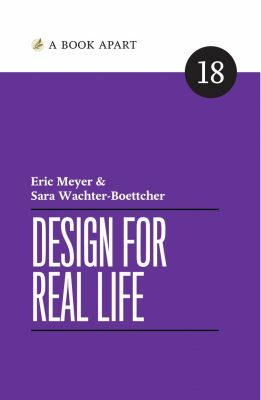 I recently read and thoroughly enjoyed Design for Real Life by Eric Meyer and Sarah Wachter-Boettcher. Well, enjoyed is maybe not quite the right word: quite a lot of it was uncomfortable (but very important) reading. This book might make you cry. It will definitely make you a better designer / developer. One of the key ideas of the book is reframing edge cases (which can easily be dimissed) as stress cases (more frequent, more relatable, easier to understand as applicable to real life, easier to prioritise), and using them as guides for decision making. In this respect, it sounds a lot like UX personas: pick the “difficult users” and find ways of helping them achieve their goals. The book calls for us to expand on them, though by thinking about non-ideal use cases. Another part of this sounds familiar from (the also excellent) A Web For Everyone: designing and developing for these more difficult users benefits all your users. We need to deliberately think about different users, a wider range of people. 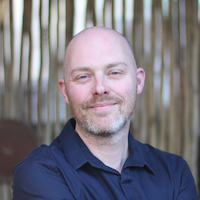 We can take an existing persona as a starting point, and examine every aspect of them. It’s a call for an even sharper lens on User-Centered Design. In that way it reminds me of Progressive Enhancement. We must challenge our assumptions, and to ask lots of What If (things go wrong) questions. We must try and find ways that our stuff will break: we’ll end up with stronger, more robust, products at the end. It also brings to mind designing Mobile First: what information do we really need from our users? What will we use that information for? If we don’t really need it, we shouldn’t ask for it. If we really do need it, we should be clear why, and what we’re going to use it for. The book references Caroline Jared’s question protocol, which is a great mini-framework to use. The book also guides you to turn your questioning lens towards yourself and critically analyse what biases you are bringing with you to the decisions you make. It’s hard to admit that we might be wrong, or that we have have fallen short somewhere. We’ll be better people and better designers and developers if we do, though: once we admit we’ve made a mistake, we can fix it. We also need to admit that we can’t cover every case and solve every problem. If we tried to, we’d never get anything built. However, just by asking these difficult questions, we are already making things better and limiting the harm we might do. We will sometimes make mistakes, and we must admit and own them. Designing and developing more compassionately gives our users a chance to forgive us and let us fix things when we do. I strongly recommend that you find the time to read this book: it will change the way you think about the products you work on.